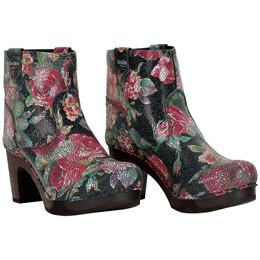 Feminine boots for both everyday and party. 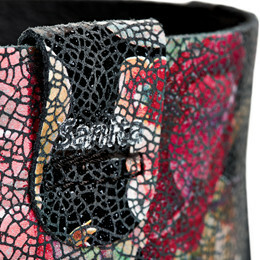 If you buy Sanita Safran Flex Boot, you will get a black flowered boot made in the best quality of the market. 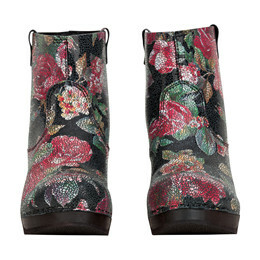 This boot is made of printed leather that fits the fashion trends. The boot is designed with an medium high shaft, and a light sole of poplar tree with a flexible wedge for a better comfort. This boot has a 9 cm heel.